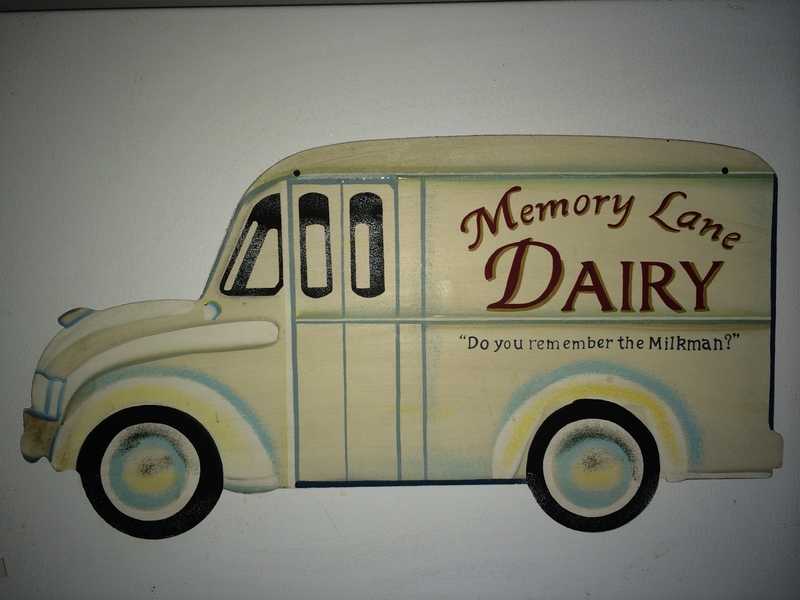 The Milkman’s (my father) 95th birthday would be this week. Since the cost of delivering a personal message to him would be life altering; instead I will honor the memory of him here on Earth. I know he understands because he never liked to inconvenience any of his children. His final delivery routes were for this company…still in existence today. He loved all of us and enjoyed the hectic evening dinners, homework, dishes, doors left open, thermostats raised, fuses blown, pets (cats, dogs & birds), bats inside the house, snow shoveling, early Sunday Masses followed by Sunday drives to Grafton or Walden Pond, vacations to Canada, painting the walls of our parish school before painting the walls in our house (the cost of an education), floods in the cellar, burning carrots left on the stove, competition for the television set, piano and dance recitals, growing feet, sports practices, scout meetings, driving us to and from our various jobs and school dances at all hours of the evening, teenagers out past curfew, and especially the morning rush in one bathroom with seven children. I am thankful he never put that second bathroom in the house because it trained my bladder to handle the pressure it receives for 180 days per year as a teacher. Truthfully, I am certain he has been relishing the peace and quiet he has had in heaven for the last 10 years. He was born the third of five children, but the first son. Here he is in the early years. The boy standing. 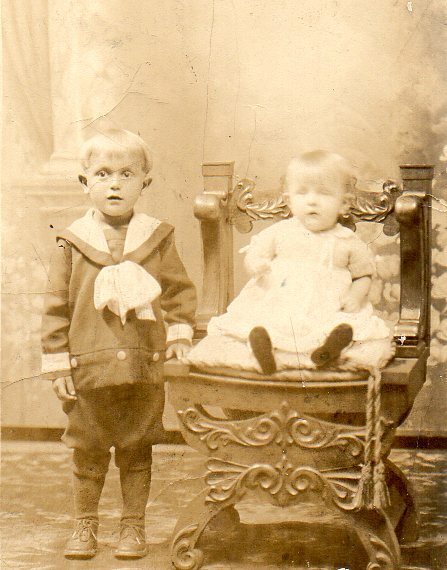 His brother, seated, grew up to become a priest and then Monsignor. The gown, chair and cording all remind me of his future life in the church. Apparently, my father had intended to become a priest as well; instead he went on to populate the Earth with my mother, a very noble vocation. I am especially elated he chose the latter mission. 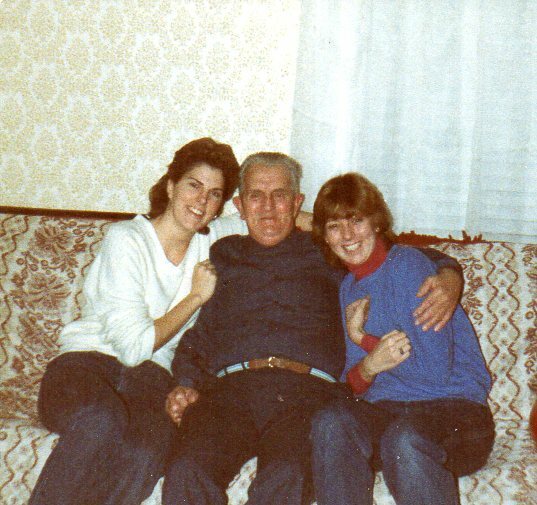 Through unfortunate tragic circumstances, my father and his two older sisters were placed at St. Joseph’s Orphanage in Fall River, Massachusetts. The two younger children were placed with family members. The orphanage uniforms were quite stylish. I am not certain if they were told not to smile or to look a bit poignant. 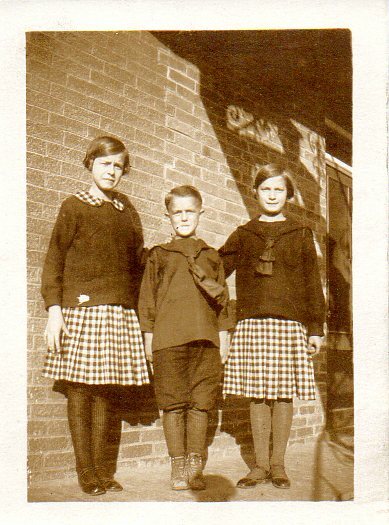 This may have been the only time his sister to the left was taller than his sister to the right; of course he eventually surpassed both of them in height. 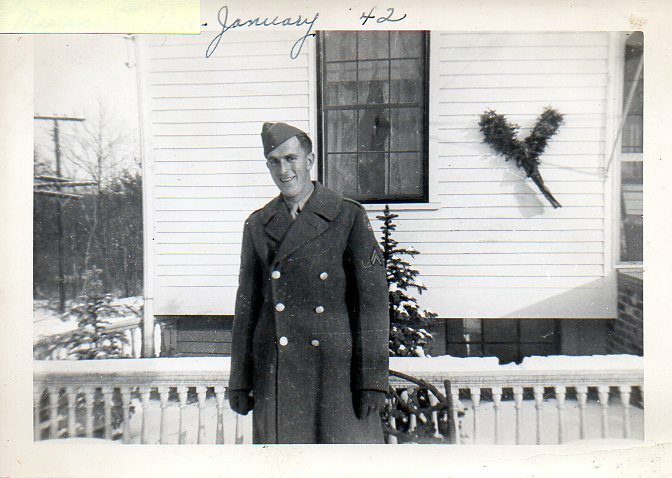 Within days of declaration of war in December, 1941; my father enlisted in the United States Army Air Corp. This may have been taken right after boot camp. Seems this uniform put a smile on his face. When we were cleaning out our parents house we found a box filled with letters and cards…three years worth of “courtship” correspondence from my parents during the war. 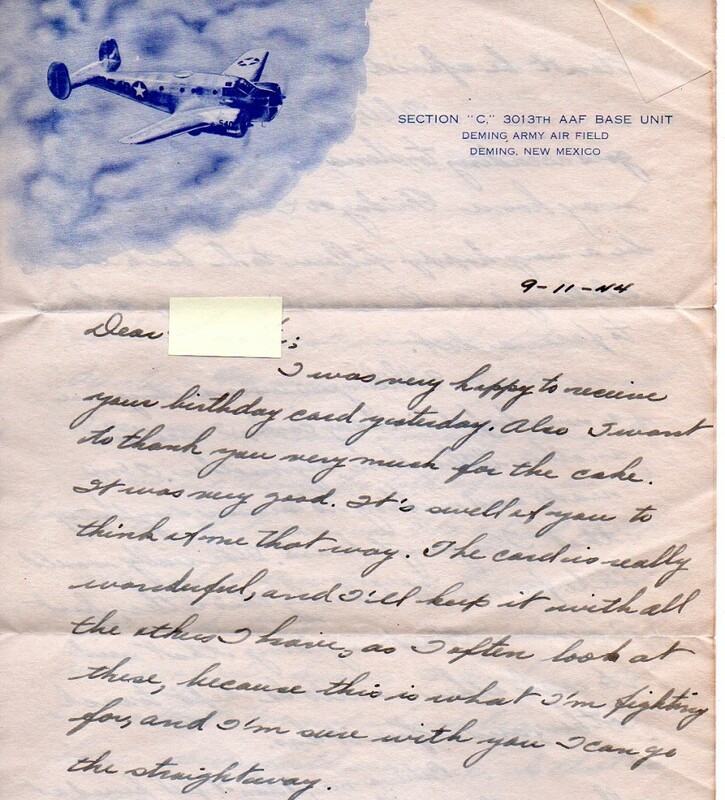 A letter my father wrote to my mother…his sweetheart, to thank her for his birthday card and cake. He recognizes the purpose of his service to country. …my father added the “With all my Love” part…He knew how to woo my mother. 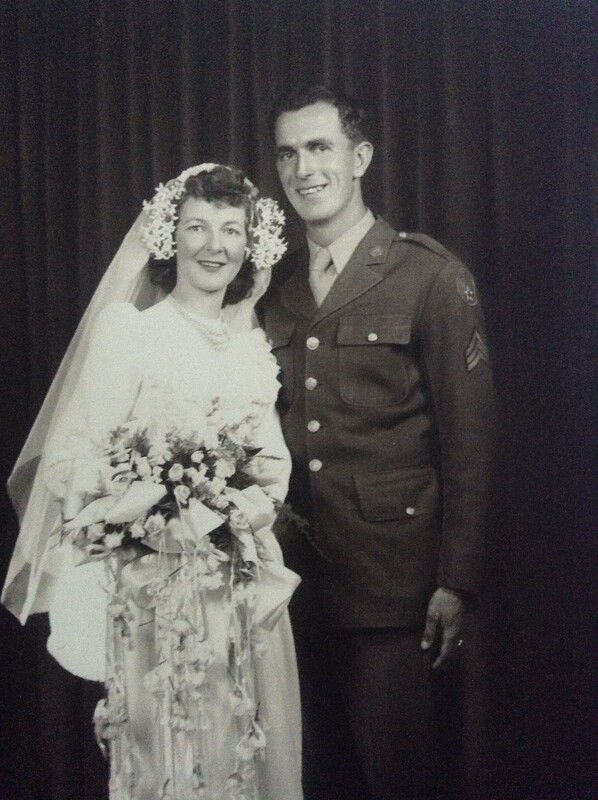 Their wedding was small and took place on a Thursday…due to the fact my father had to return to his base out west…no time to rest even though the war was nearing the end. 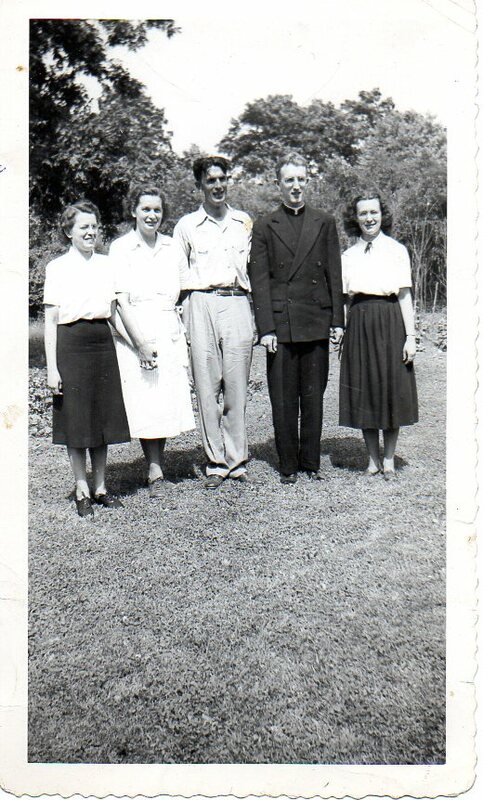 A rare photo, my father in the middle with his four siblings. The two sisters to his left lived on the girls’ side of the orphanage. Notice the two holding hands…their experience made them very close. My uncle, the Monsignor married the Hubster and me. My aunt to his far right was the baby, I met her once on one of our famous Canadian vacations. Happy Birthday Aunt C., 2nd from left, born on the same day exactly two years apart. Sometimes I wish I would have paid attention a little more when they were all alive. They are from left to right, oldest to youngest. My father loved the babies…this was his first, the Family Matriarch I visited this past summer. Since she was the first child, notice how tightly he is holding on to her so she wouldn’t fall and break. Once they had more than a handful of children the holding on days were replaced with the “you’ll be fine” and “every man for himself” days. 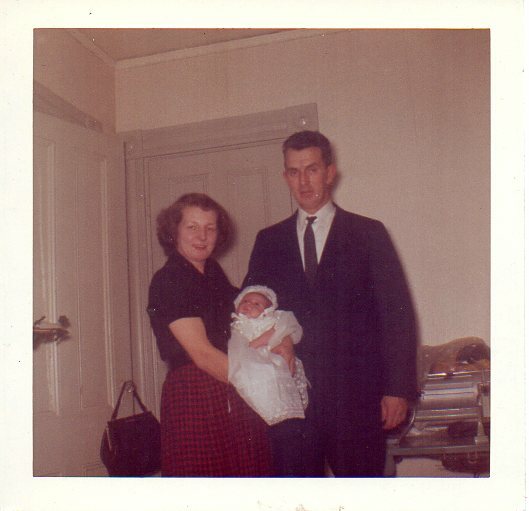 When they finally had a perfect child, me, they decided to stop…see the exhaustion excitement in their faces. They were well into their 40’s…I kept them on their toes and youthful. Son-ster #1 wore that Christening gown. Others in the family received many accolades over the years and some were athletes, but my father finally got the athlete he had always dreamed he would have in me. He came to every home game I played in volleyball, basketball and softball. When I was cleaning out my parents’ house I found all of those trophies. I did not keep them…had I found a crown, well that I would have kept. 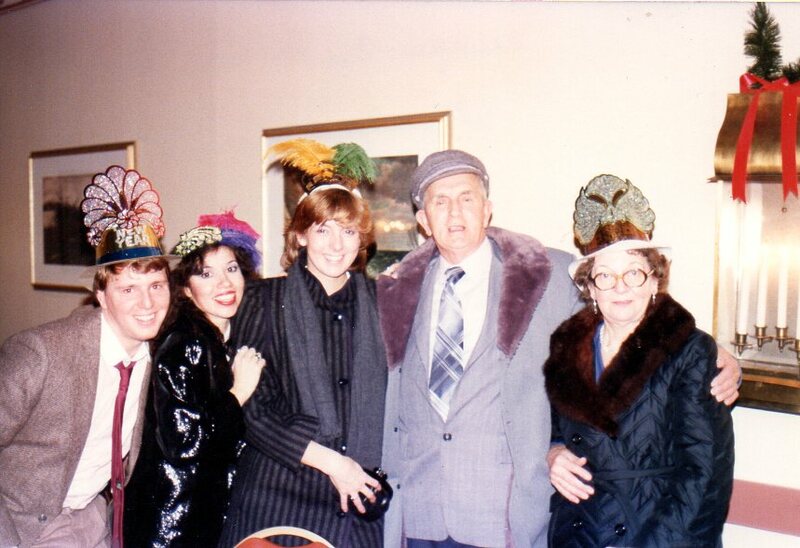 New Year’s Eve circa 1980 something…look I am wearing a crown. One of my brother’s was and still is a musician, his wife at the time, his singer (pictured between Hubster and me)…we went for several years in a row to celebrate NYE with them. Hubster (my boyfriend at the time) crouching down…probably trying to avoid eye contact with my mother. My father always had a classic hat. I remember the last fedora style hat he bought in 1976. We went into downtown Boston on the Orange line. The Washington Street stop (now Downtown Crossing) was where we got off to go to Jordan Marsh. I don’t remember the price of the hat, but I do remember thinking is a fedora hat still in style? Peggy Anne, my college roommate came to visit us in Boston during winter break junior year. There were only six children in her family so I thought she had it made with their two bathrooms. 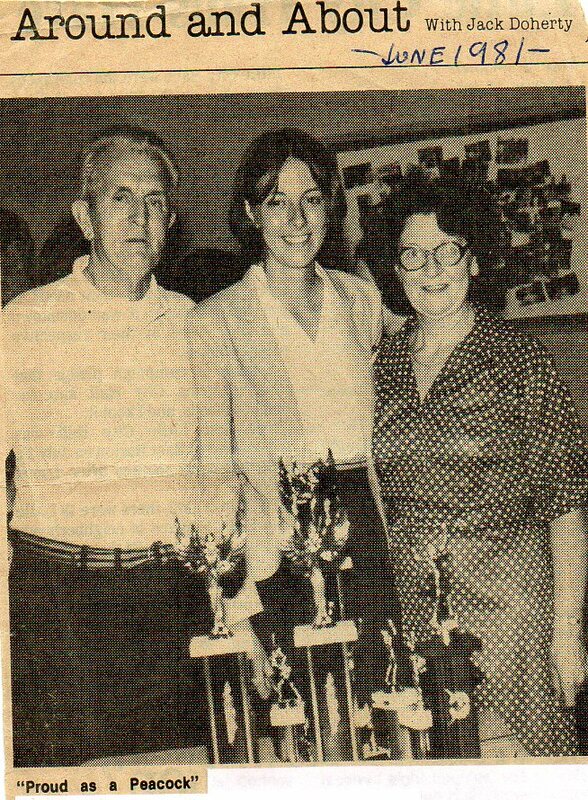 My father was always entertained with her stories and of course, the fact that she too was an athlete who actually stuck it out on the basketball court for three college seasons. During my college years they probably made about 12 trips down I-95 to Baltimore, my father was the sole driver. 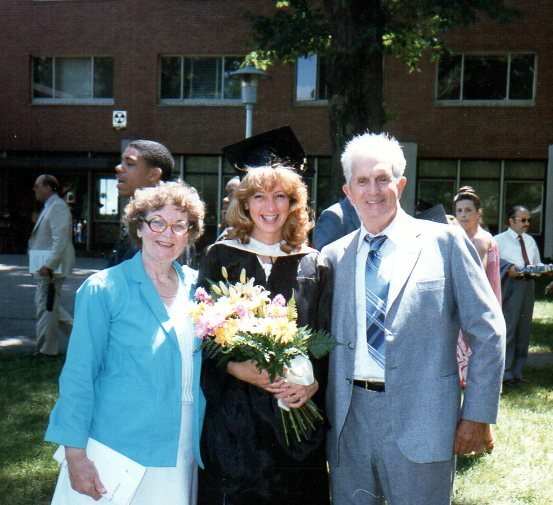 …this time they flew in for my college graduation. 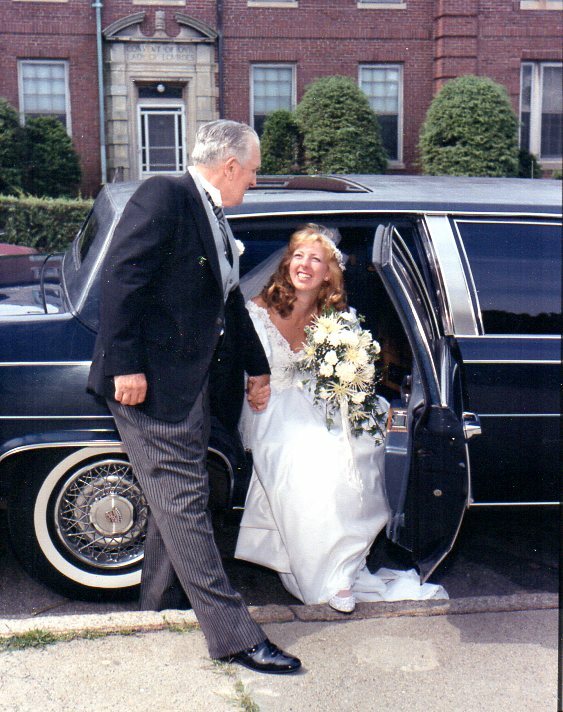 …my wedding and the best walk I ever took with my Dad. My father watched my mother walk down this same aisle 41 years earlier. Peggy Anne’s wedding three years later. 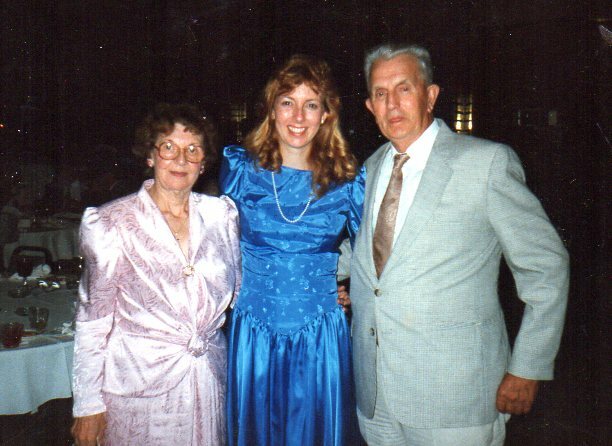 My mother was able to wear the dress she wore as mother of the bride at my wedding…always frugal and economical. My father always appreciated her thriftiness. The Milkman’s 75th birthday celebration…this photo was a must as it reminded all of us of the importance he held in family. 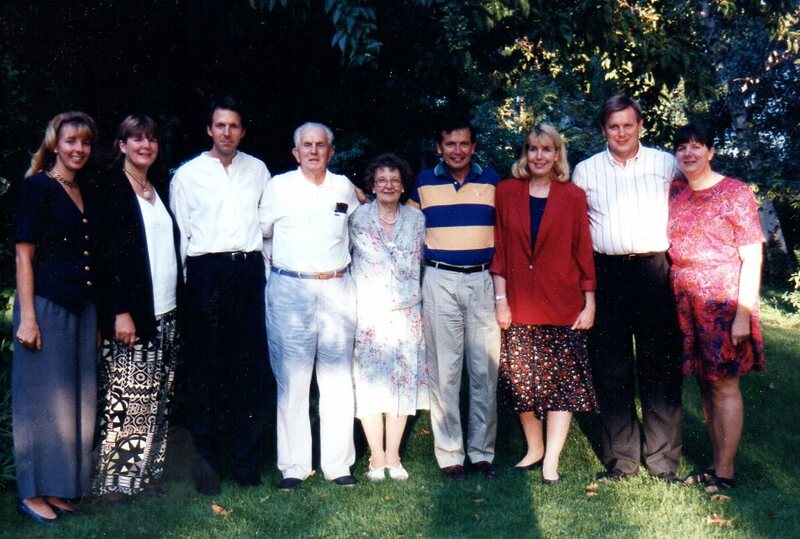 My parents in the center, I am on the left next to the Family Matriarch. Seven Catholic educations later….six weddings, 12 grandchildren…a great-grandchild and his namesake born before he passed away…and the legacy continues. Celebrating his 79th at the Family Matriarch’s beach house…on Labor Day weekend, 1998. 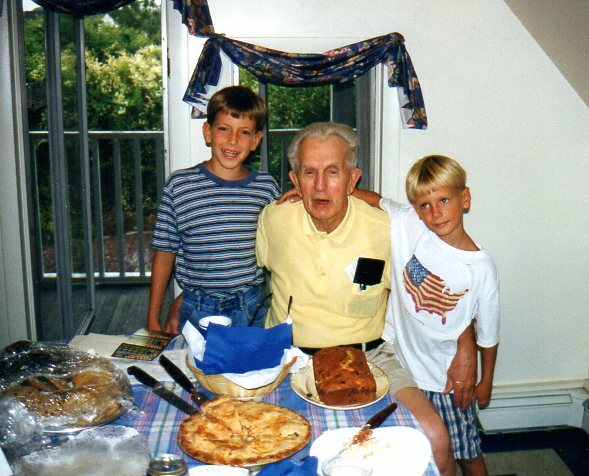 One of my mother’s famous apple pies which the Milkman was not allowed to sample…darn heart disease takes all the deliciousness out of birthdays. Son-ster #2 has the same haircut as my father in the first photo. 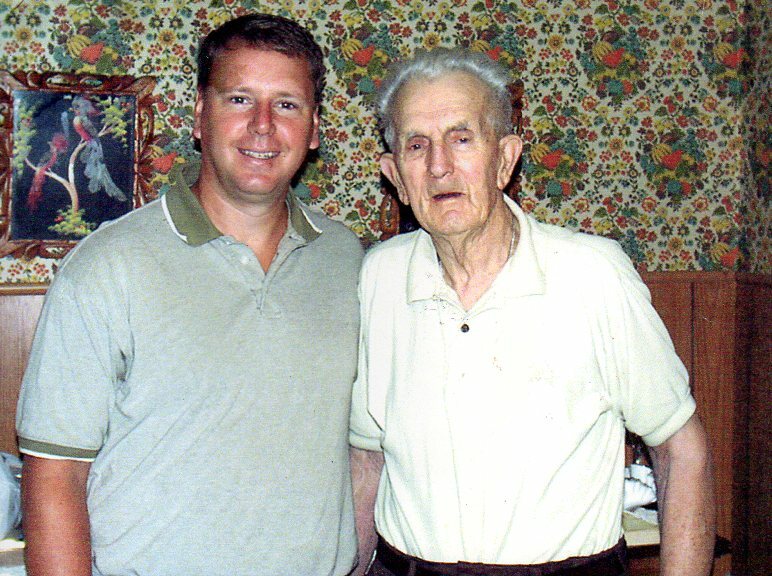 Two of my favorite guys…Hubster and the Milkman in my childhood home, circa 2000. How about the wall paper and peacock art behind Hubster’s shoulder? This photo was taken only a few feet away from the photo of my parents holding me on my Christening day. Happy Birthday to the man who was our “Giving Tree”. He gave until he could give no more. He wanted nothing more than for us to be happy and good Catholics. His young life was filled with many challenges beyond imagination although I knew almost none of it until I was older. He didn’t need the peacock to be proud…he was a family man of dignity, a gentleman of faith, excellent work ethic, a dedicated Red Sox fan, a role model and our #1 fan. 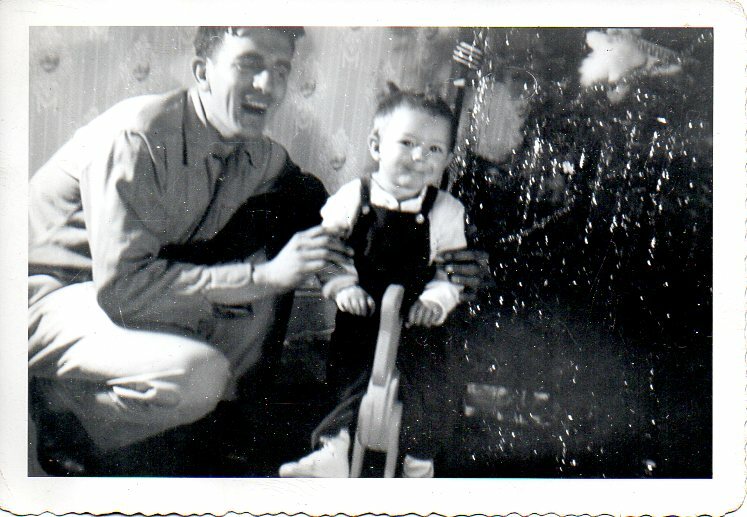 I am “proud as a peacock” to call him my Dad…the Milkman….I am thankful for everything. 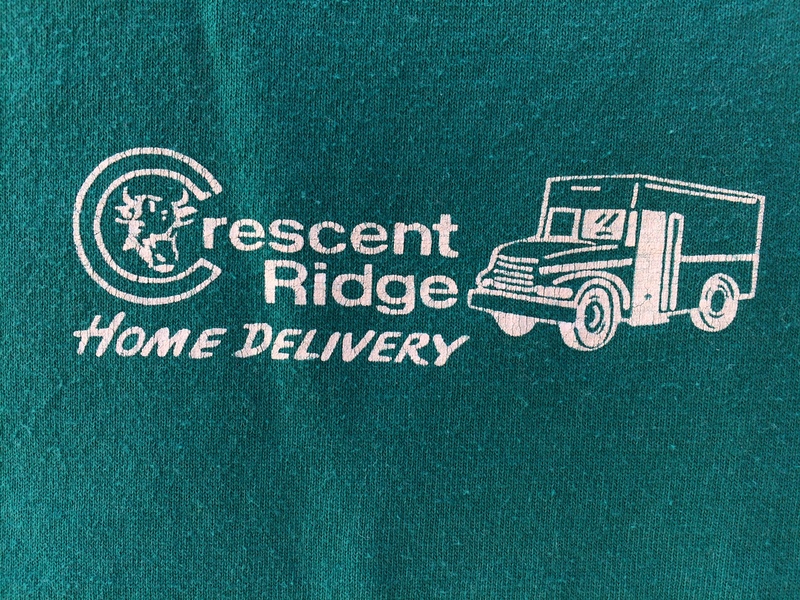 This entry was posted in At Home, Uncategorized and tagged birthday, Crescent Ridge Dairy, family, life. What a beautiful tribute to your Dad. Loved getting to know your family thru the photos and letters. You can tell that your Dad went to Catholic school by his perfect hand writing. 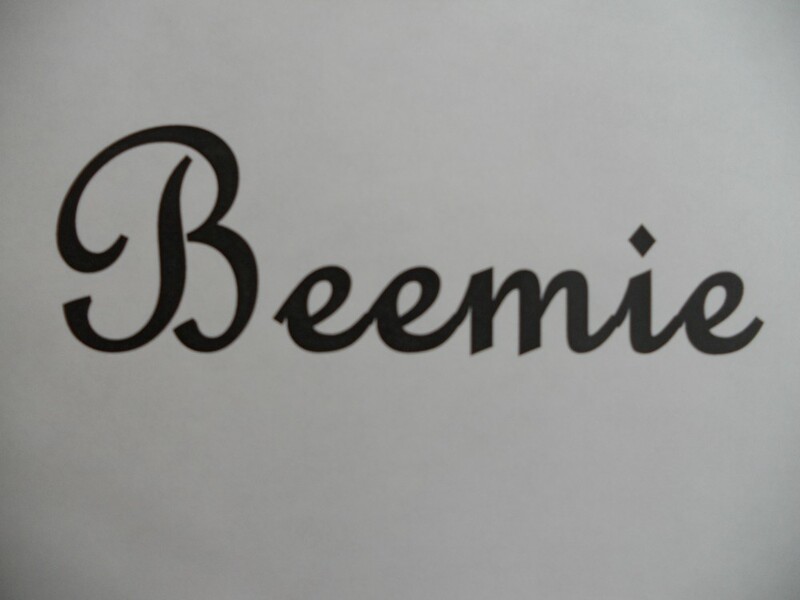 Great post, Beemie and a lovely testament to your Dad and family. Katie said exactly what I was going to say – even to the handwriting comment. What a lovely post.